I fished there catching a few but as I had unfinished business at another lake I couldn’t give Dinton my full attention. 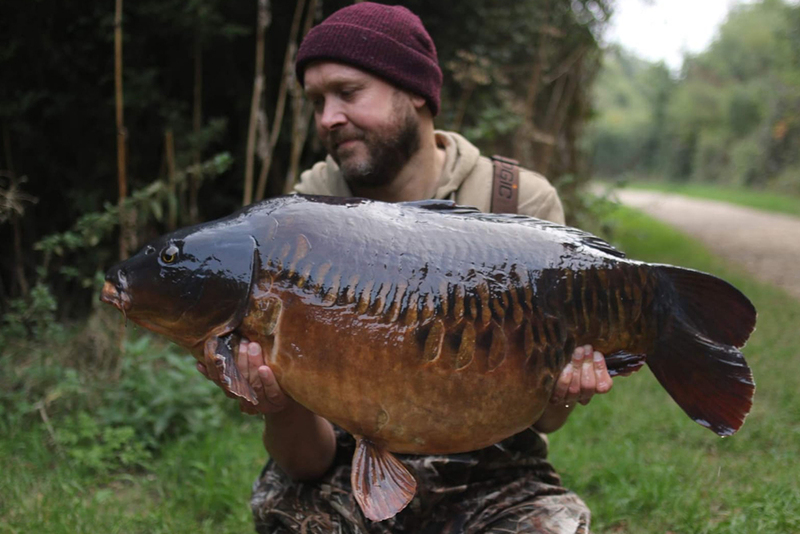 Skipping forward a few years to September 2018 and after 2 weeks away from Dinton I was itching to get back. After a good walk around and seeing nothing to grab my attention I was soon plotted up in Jay's Boards. 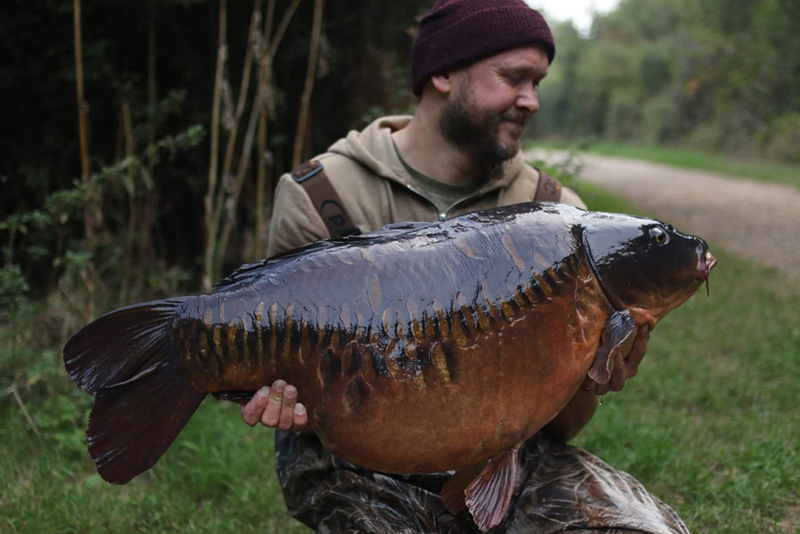 This swim had been kind to me having captured The Hamster at 40lb from there the previous year. I was up early and scanning the water but all was quiet. As the day went by my attention was drawn to an area between Spotters and The Woods.. they were there. My gear packed and I was on the move. I knew a few hard spots out in the lake from the previous year and was hoping the weed wouldn’t mess up my plans. Rods out..two casts...mega drops... oh happy days. Once again the night passed with no signs they were still in and around the area. Unexpectedly the left-hand rod was away twenty minutes later and a stocky was soon netted and returned with no fuss. 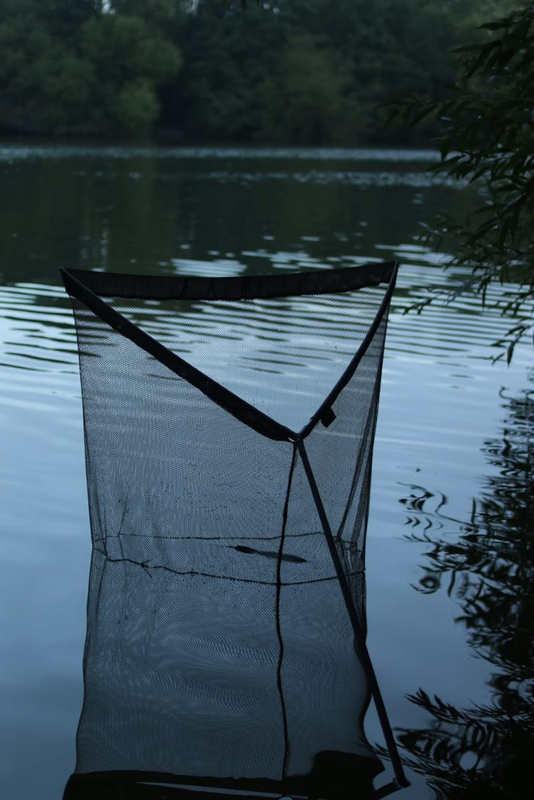 That evening a little social was had in Micky Gray's swim... watered and fed I was itching to get back to the swim. Two casts later and a good helping of Trentbaits fresh shrimp and it was 'watch and wait' time. Up early again the next morning and it was a repeat of the night before... all quiet on Dinton. The bobbin on the left-hand rod then slowly climbed and I was once again connected to a carp but this felt completely different... heavy and with a purpose, this fish fought hard for fifteen minutes... three attempts to net the fish had the voice in my head saying please stay on. After gaining full control I managed to guide the fish into my net... relief and elation. A target in the net!